Alliance War Complete Spoiler List! Thanks CVH, Sparkypants and Bethesda for letting us share the complete Alliance War cards list! 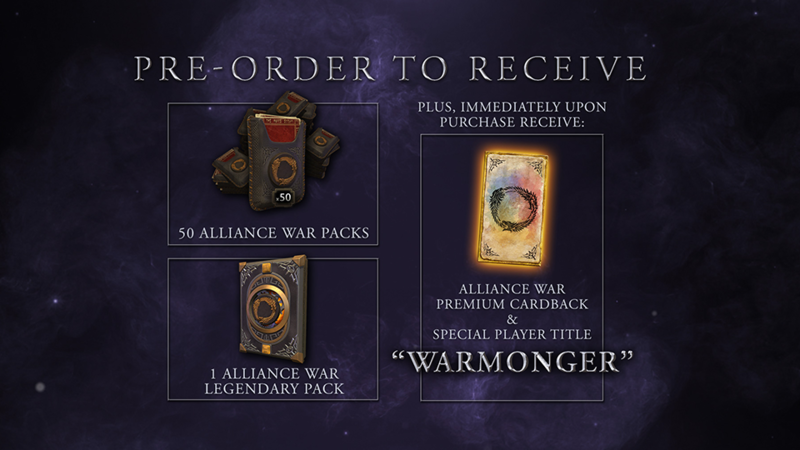 Just a reminder: Alliance War releases worldwide April 15 and you can pre-order today for $49.99! All the cards have been added to the legends-decks.com Deck Builder so you can start experimenting your crazy ideas right away! A lot of these cards seem overcosted on the magicka side. Sparky is really trying to push combo-play with this set so we’ll see if it works out. Overall I feel like the power level of this set is pretty low, especially on the tri-color cards. Regardless I will invest in this set because this will be an interesting meta and I do like the new factions. I have the feeling they're just a bit more careful. Testing the waters with some cards and then buff them, e.g. by cutting their costs a bit, rather than being forced to swing the nerf bat. Agreed. Also disappointed with the lack of empower cards, or lack of a mushroom tower like support to empower all actions with something (fortunately mobilize has their own mushroom tower). Could someone post the explanation for all the new keywords or mechanics please ? Veteran: Triggers once when the creature survives its first attack. Expertise: Cards with Expertise have a bonus effect at the end of the turn if you’ve played an action, item, or support card that turn. 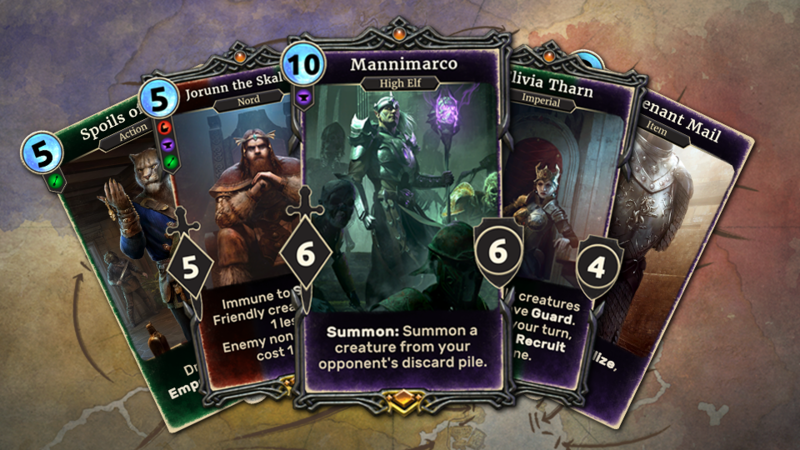 Wait a second, don't we already have Ayrenn as a card? 3 month since Isle of Madness...beware winter is coming ! 103 cards in total : 17 in each colors (except 16 for blue ), 15 tricolors cards, 4 grey cards (like The Ruby Throne games of crown reference). Unfortunatly many card will become obsolete, some balance will be needed in the future. Thanks LogicBomb999 for the new keywords explanation, it's really helpfull. So, the older Ayrenn won't exist anymore, right? If I already have, she will evolve in Ayrenn DQ? Thank's! Nope, you can have both and run them in the very same deck. Two different cards based on the same character.